Is H&R Block Premium & Business right for you? We’re going to break down H&R Block Premium & Business for entrepreneurs and small business owners. If you think it’s right for you, we have a great new coupon for up to 20% off! Premium & Business: 30% Off – Wow! Apply a coupon & view today’s best price for all versions. Should You Use H&R Block Premium and Business for Your Taxes? If you’re operating a small business, you know that your tax filings are incredibly important, and every deduction counts. Actually, I think Ben Franklin said something like, “a penny deducted is a penny earned,” right? 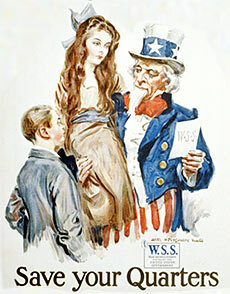 Well, that was back when pennies were worth something, but even in our age of digital money every cent still counts. In fact, this is just one of 7 tax tips for small business from mashable.com. 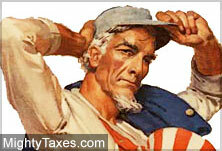 Sometimes as a small business owner we’re caught in the middle during tax season. You might be tempted to save money by filing your personal and small business taxes yourself, but you’re worried you’ll miss the face-to-face advice of your tax accountant. You’d rather not rely on software alone. And you’d certainly rather not be mixed up in several different tax software programs, if you can help it. Well, lucky for you, there’s H&R Block Premium & Business, and we’re here to break it down for you. So, what does their “Premium and Business” version give you that the regular old “Premium” software doesn’t? 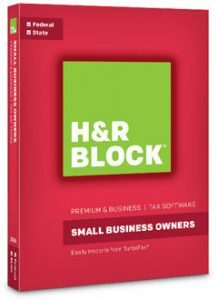 H&R Block Premium & Business is downloadable software that guides you through both personal and small business tax filings. So for one reasonable sticker price (about $90 before coupon) you receive a product that helps you achieve both filings. They can help you with important small business deductions like employee insurance costs, proper classification of office equipment, home office deductions, and travel and entertainment deductions. 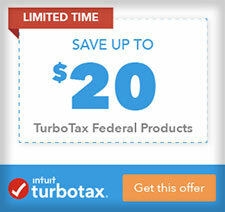 Okay, but what exactly can I do with this software, and how is it different for the business edition from TurboTax? Good question. You get unlimited chat with a tax professional, online and by phone. You can visit your local H&R Block office for face-to-face advice from a tax expert, too. There’s even free audit support if you need it. It’s like peanut butter and chocolate. The coupon gives you up to a 30% discount on your initial download, and their guarantee ensures that if you aren’t happy you can get all of your money back and go try another top name in tax prep like Turbo Tax. H&R Block aims for quality above all else. They want to make sure that every one of their customers maximizes their refund, and accurately. So they double check their work and swear by their double-checked calculations, ultimately reimbursing you for any penalty fees the IRS claims on an inaccurate filing. Plus, they’re there for you even after you file, through their in-person audit representation. They’re guaranteeing you peace of mind. With H&R Block Premium & Business, you have the convenience of filing both your personal and small business taxes online using the same user-friendly software, and you can have a tax professional look it over before you submit – to check for accuracy and missed refund opportunities. H&R Block Premium & Business combines a big software name, retail locations, and professional consultation services online, by phone, and in person. Really, what more convenience and service can you ask for? Corporations, Multi-Member LLC’s, S-Corp’s, and Trusts? Oh, My! What don’t I get with this software? Or, asked another way: what more will I pay for? There’s not some big catch. But you should know about the fine print. Again, you get one personal state program download (about a $40 value) as part of this package. But, all H&R Block tax software products charge you to file your personal state taxes, at about $20 per return. So there’s that extra charge. But that’s no matter what with H&R Block. If you’re a small business owner and you like the H&R Block model, H&R Block Premium & Business is the most comprehensive product and service – the best H&R Block deal – you can get.